What are the advantages – and challenges – of running an experiment in the field rather than in a lab? 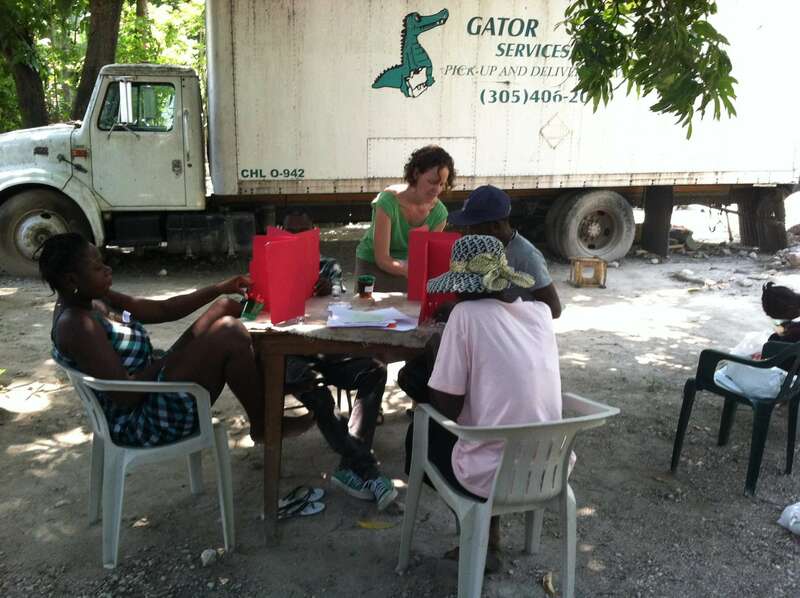 We recently caught up with long-time SurveyCTO user Abbie Turiansky about her research, specifically the lab-in-the-field experiments she has run in Haiti. Abbie is a PhD candidate at UC Davis in the Agricultural and Resource Economics department, focusing on social behavior related to the provision and management of public goods and common-pool resources. Tell us more about lab-in-the-field experiments and why you use them in your research. In economics, behavioral experiments are used to learn about a wide range of behaviors and preferences by putting participants in a game-like setting in which they have to make decisions that mimic decisions they may have to make in the real world. A lab-in-the-field experiment is conducted in the field, with the population of interest, rather than in a laboratory on a university campus. 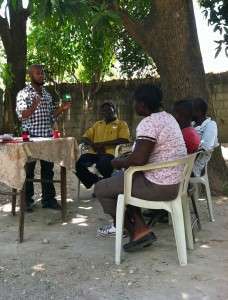 My experiment in Haiti was a public goods game in which participants have to choose between dedicating resources to a private economic activity or to a public good that benefits everyone in their group, and my participants were farmers who share water and irrigation infrastructure. The benefit of doing experiments in the field is that the population being studied likely behaves differently than college undergraduates, who usually participate in traditional lab experiments. Of course, bringing the lab to the field has many challenges associated with any field work – challenging work conditions, study participants who may have low literacy/numeracy and little experience with games like those being presented. 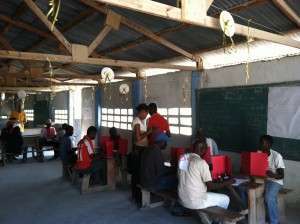 How did you use SurveyCTO as part of your lab-in-the-field experiments in Haiti? When you do these experiments, there are typically calculations involved: a public goods experiment pays out depending on how much the participants contributed to the public good. In a laboratory setting, this is done on computers: typically each participant is on a computer making their decisions and learning about their payouts. In field settings, these calculations often have to be done by hand: participants make their decisions and then enumerators gather the responses and do all the calculations. This is slow and prone to error. With SurveyCTO, I was able to have enumerators gather responses quickly, enter them into a survey form, and get the calculations back instantly. This made the experiments run quickly, and gave my my data instantly. I am now working on two papers. You can read the first paper – Collective action in games as in life: Experimental evidence from canal cleaning in Haiti – here. I am working on a draft of a second paper studying whether farmers played the games differently depending on whether they had been exposed to an agricultural technology that increased their reliance on a public good. Is there anything else you’d like to share about your research or survey design in general? Any advice for others? The only thing I’ll add is to think creatively about the survey forms. I started out thinking I’d have to have a separate tablet for each participant, the way you would in a traditional laboratory setting, but compiling the data across tablets and doing calculations in real time would have been very complicated. Having a survey form for each game rather than for each person, and having enumerators handle the tablets rather than the participants themselves, was far easier. And while there were many challenges with this research project, I was glad that I didn’t have to worry about the data collection!